El Born neighbourhood of Barcelona offers something for everyone, from historical and architectural sights to unique and individual boutique shops, surrounded by a plethora of great cafes and restaurants it is easy to lose yourself in the winding backstreets of this old-town area. Creativity is normally what comes to mind when many mention El Born. This barrio has extraordinary talent – offering some really unique designs from up and coming local designers, inheriting the past of the many artisans that lived here before. If you want to avoid the tourist strewn high street and go home with a little something special, this is your place. From leather bags to customised dresses and handcrafted jewellery, this place is dangerous. The fact that it is all surrounded by cute bars and cafeterias makes it all the more easy to spend a day there. We recommend visiting Miriam Ponsa, Coquette for international contemporary brands and heading over to Blow, the younger sibling on Le Swing for your vintage fix. El Mercat de Born was designed by municipal architect Antoni Rovira i Trias and built between 1874 and 1878. Formerly, the market was a pivotal part of the wholesale trade but was closed in 1971. In 2013 the market re-opened but with a much different purpose. 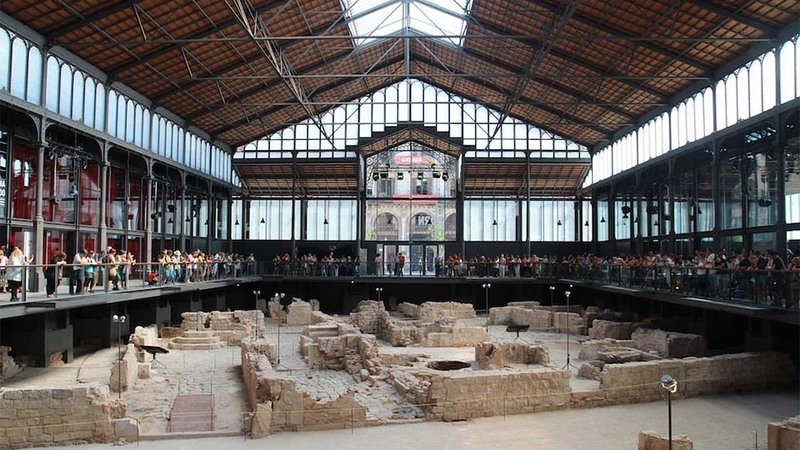 Today it functions as a museum, charting the history of the market and area with the original ruins impressively showcased under the glass flooring of the space. With an abundance of history, there are many places of interest worth visiting in El Born. 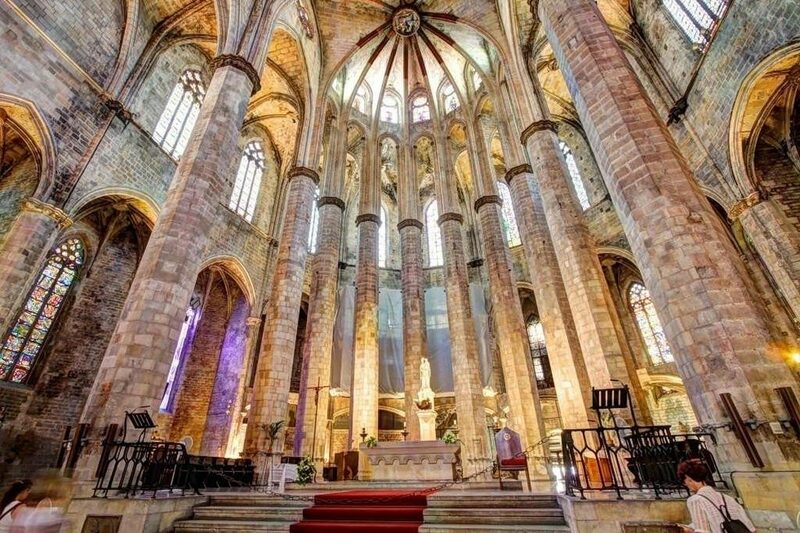 In addition to the market-come-museum mentioned above, the 13th-century gothic church of Santa Maria del Mar is pretty special and breathtaking if you are lucky enough to catch a wedding ceremony about to take place. 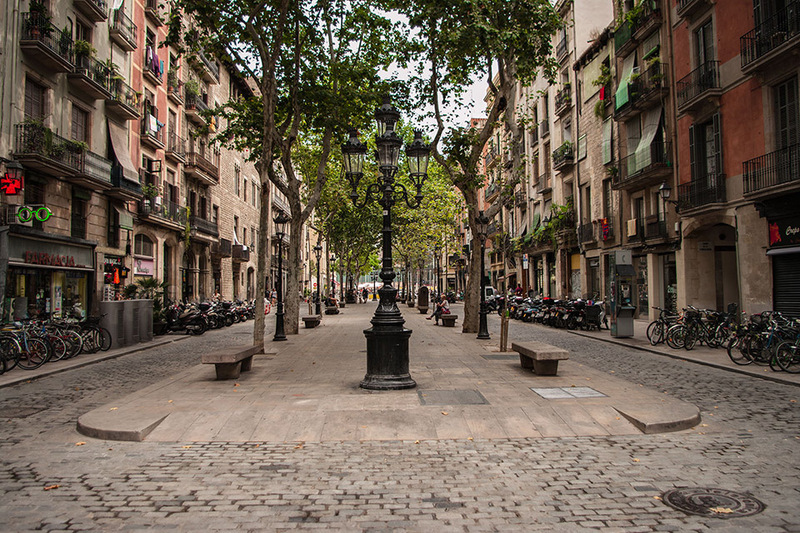 Barcelona’s Carrer Montcada is lined with a succession of medieval, Renaissance and Baroque palazzos and can be traced back to the 12th century. A visit to the Picasso museum is a must, with it being one of “the” museums to see the works of a great extraordinaire. Be sure to get your tickets in advance as the queues can get rather long. There is free entry to the museum on Sundays from 3pm but please check the museum website for details to confirm this. 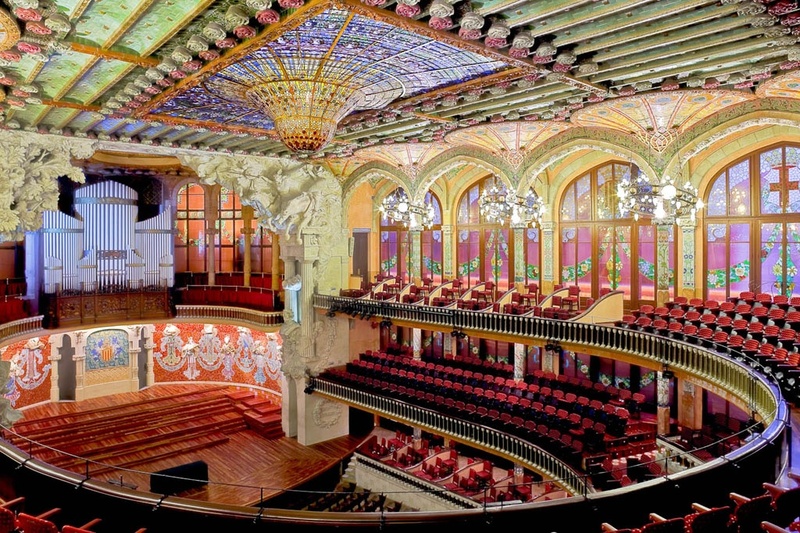 Palau de la Música, commissioned by the nationalistic Orfeó Català choral society, is an impressive and decadent concert hall. If you are fortunate to have the opportunity to see a live performance, we recommend that you do, as there is something very special about the sound in the space. Regular tours of the Palau also take place daily and offer insight and history and modernist architecture. The cafe here offers a beautiful escape from the hustle and bustle of Barcelona. When it comes to food, Born is brimming with gastronomy we love the unique flavours of Llamber a former bodega transformed into a restaurant and owned by avid creatives that also have a restaurant in Asturias. Cafe Kafka also offers gastronomic delights in an elegant setting and both restaurants are located right off the market. Like brunch? Picnic is a must, offering an amazing menu you can expect eggs benedict, pancakes and smoked salmon. 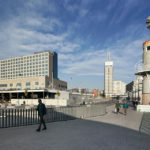 If you find yourself in the area around aperitvo time, Bormuth is a cool little place that serves a variety of vermouths and delicious tapas and is definitely worth visiting. Cal Pep is a classic in the area that is known for its incredible serving of butifarra amb mongetes (sausage and beans in a port wine reduction). The list goes on! 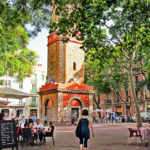 If you’re looking for a fun place to go sip a cocktail or a glass of cava, Passeig del Born is a pedestrianised street offering lots of great cocktail bars and small places to sip a vermut.